Gina D. takes a break from uniform alternations for Carolina Crown. 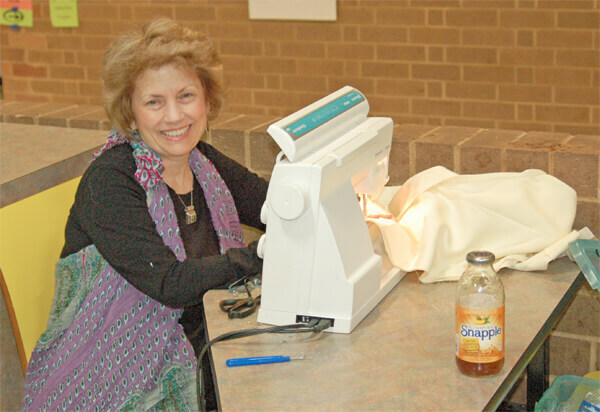 This year marks her seventh year of volunteer work on uniforms. Her son aged out last year, but she elected to return for another year. This image was taken at the April rehearsal camp at Fort Mill High School in Fort Mill, S.C.